22 September 2001. Thanks to AN. Debris path: WTC ( . ) to Carroll Gardens, Brooklyn ( * ) Approx. 3.5 lineal km. 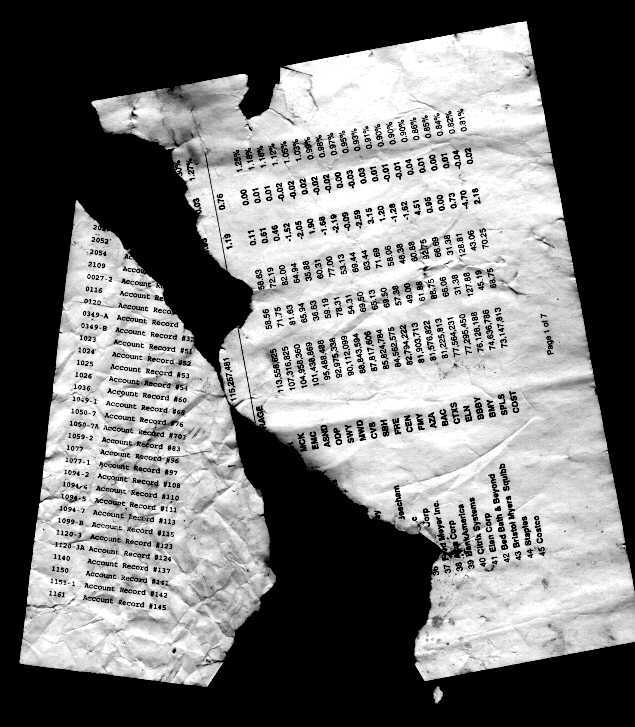 Charred documents retrieved from residential backyard in Carroll Gardens, Brooklyn, New York following World Trade Center collapse, 11 September, 2001.